BTO presents Master classes with Valery Lantratov, January 11th-13th, 2018! Register now by visiting our online registration page. 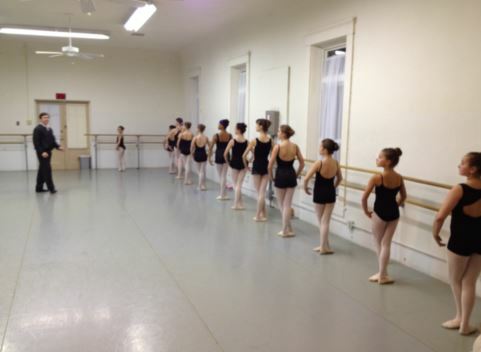 Class opportunities include ballet technique for beginning, intermediate, and advanced students, as well as pointe/variations classes. These classes make a wonderful gift for the holidays. You can even request a printable gift certificate! Valery Lantratov has had a distinguished career as a dancer in the companies of Vladimir Vasiliev, Maya Plitsetskaya, and Ekaterina Maximova, and international tours with Rudolf Nureyev. With the Moscow Stanislavski Ballet, he danced principal roles in such ballets as Don Quixote, Coppelia, and Romeo and Juliet. He has received accolades in the Russian and international press for his strong technique, personality and expressiveness. In 1993, Lantratov formed the Russian National Ballet Foundation. He has toured as a solo guest artist in such countries as Japan, Germany, Italy, Greece, France, Portugal, Spain and the United States. The Russian National Ballet Foundation has toured in Europe, Asia, The Middle East and the United States. In 1997, Russian president Boris Yeltsin named Valery Lantratov “People’s Artist of Russia,” the Russian Federation’s highest artistic honor. Mr. Lantratov holds a teaching certificate Russia’s renowned National Academy of Theatrical Arts-GITIS. For three years, Mr. Lantratov served as a guest instructor at the Boston Ballet. Valery’s son, Vladislav Lantratov, following in his father’s footsteps, is now an in demand principal dancer of the Bolshoi Ballet! Friday, January 12; 4:30 p.m. – 5:30 p.m.
Thursday, January 11; 4:30 – 5:45 p.m.
Saturday, January 12; 10:00 -11:15 a.m.
Thursday, January 11th; 6:00 – 7:30 p.m.
Friday, January 12th; 5:45 – 7:15 p.m.
Saturday, January 13th; 11:30 a.m. – 1:00 p.m.
Thursday, January 11th; 7:40 – 9:10 p.m.
Friday, January 12th; 7:20 – 8:20 p.m.
Saturday, January 13th; 1:10 – 2:10 p.m.